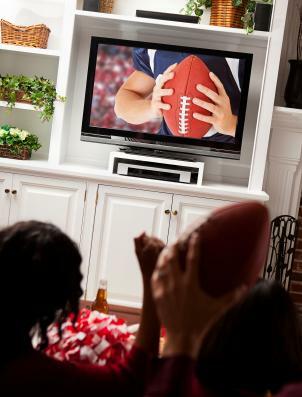 Invite guests to your Super Bowl viewing party! The Super Bowl is the biggest bash of the football season and a great occasion to gather your friends to watch the big game. Make sure your invitations make an impression on your guests and not in your wallet by using fast and easy printable ones. 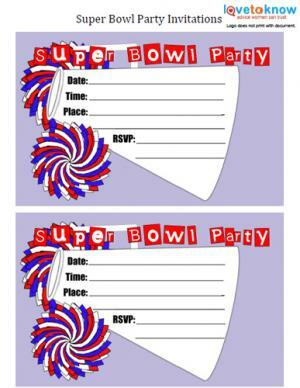 If you are planning a big bash for this year's Super Bowl, be sure to send out invitations in advance to let everyone know your plans. The invitation not only sets the overall party theme but also alerts guests that you are having a celebration so they can plan accordingly. If you need help downloading the invitations, check out these helpful tips. Use heavy card stock for best results. Personalize the invitation for the particular year's teams by adding team-specific stickers to the envelope and back of the invite. 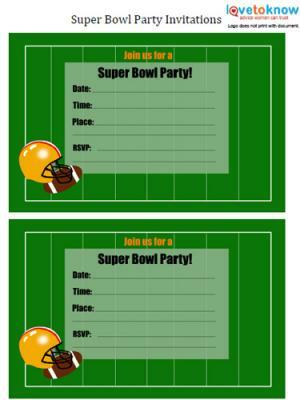 If you're planning a trivia contest or having a special game during the Super Bowl, mention it on the invitation. This way, guests know it's important to show up on time for the game-play. 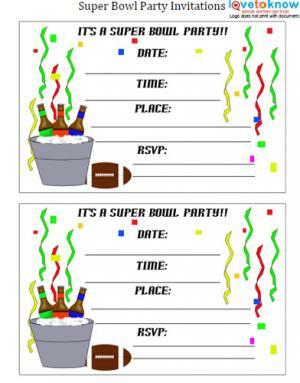 A great Super Bowl party starts with a great invitation. 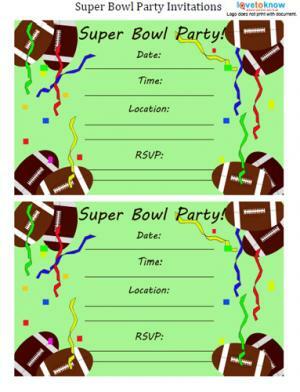 Get your friends and family to the big party and big game by sending out festive party invitations a couple of weeks in advance.